Get Rs. 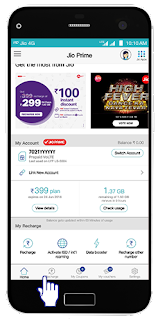 100 Cashback from PhonePe. 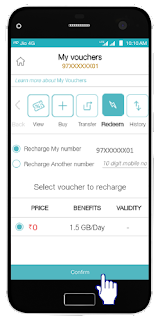 2- Select Your Suitable Data Plan and Click on Buy. 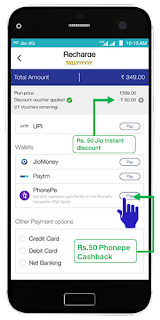 3-Now You will see Payment page select PhonePe for Payment. 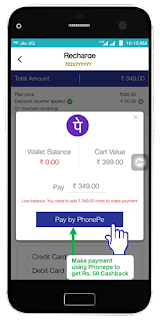 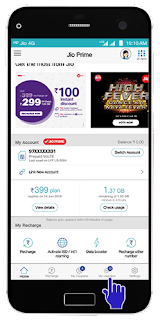 4- You will see popup of PhonePe Enter your PhonePe Registerd Mobile Number. 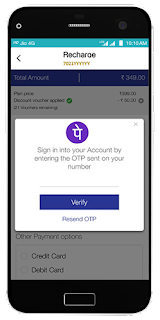 5- Verify with PhonePe number with OTP and Click on Pay with PhonePe.